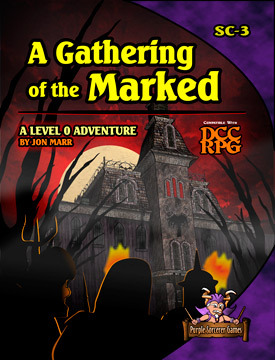 Designed for 0-level adventurers, A Gathering of the Marked challenges a band of strangers to endure the mad games of a power who’s motivations are as mysterious as its identity. Can the summoned survive to wrest control of their lives once more? Will they turn on those they struggle with, or band together to defeat a common enemy? Will they finally come face to face with the twisted power that has called them, and uncover its dark secrets? All will be revealed in A Gathering of the Marked! 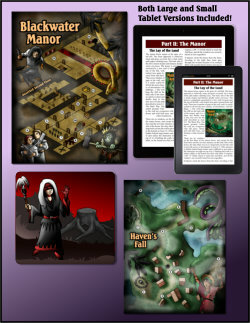 Explore the cursed village of Haven’s Fall, battling shambling horrors, freakishly nimble puppets, cow-devouring tentacles and more! Comes with two streamlined tablet versions for both large and small tablets and mobile devices. 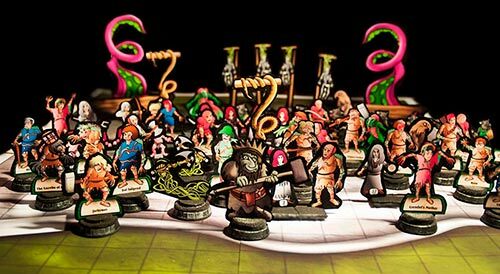 Paper miniatures from the adventure on a nearly hidden battle map!